Posted: Mon Feb 14, 2005 8:30 pm Post subject: The mystery singer! So who is this mysterious creature? I just read the news update and havnt the foggiest idea. ooh this is just like that bit on question of sport !! does the winner get a prize ? is it charlie from bust, sorry i mean fightstar?!!? anytime, anyplace, anywhere but please not now!! Wow its become a fun game...are there prizes?? Mikee is probs the most talented vocalist around in the UK at the mo. Karl Middleton = God... PLEASE let it be him!! OK... I just actually looked at the news page. That is most defo Karl Middleton. 110% yes. Karl did a great job as guest vocalist on Vacant Stare's album a few years back. His roar rocks. are they the band with a dj and a played the astoria with ill ninoa and ragingspeedhorn? In the top 5 albums I own. BUY. 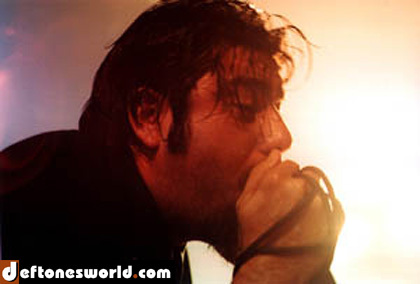 You are a fan of Deftones. You will love them. It's most basic description would be 'nu-metal' but it is also good. They are nu-metal in the same way that Deftones are lumped into that category, or at least used to be. Structurally their songs are pretty different to the norm, the singing is awesome, basically its just brilliant stuff. Intelligent arty nu-metal. That's the link for HMV, where you can also listen to clips. has anyone got it yet ric?